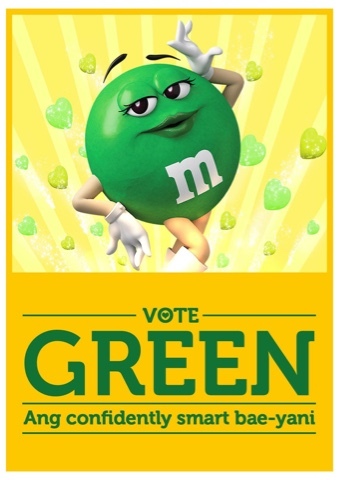 M&M’S® Characters are Running for the 2016 Election! Be a part of the Miting de Avance, happening on April 22 at the Makati Coliseum. Meet & greet the three candy-dates and hear them out as they rally for your vote. Get your photo taken at the photo booth and cast your votes for your chance to win fun prizes! 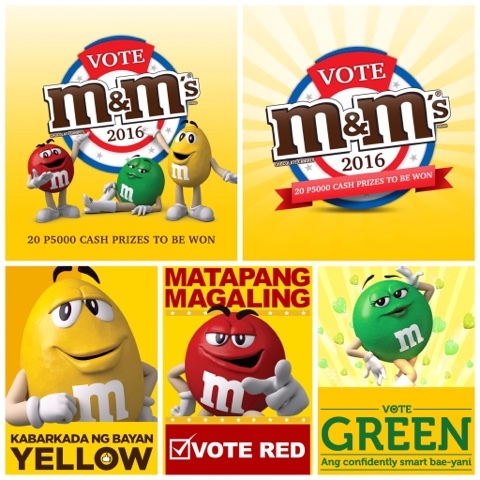 Or catch the M&M’S® Motorcade happening in selected barangays and more fun M&M’S® Vote activities at selected LRT Stations happening this summer - cast your vote, play fun games and win M&M’S® products! 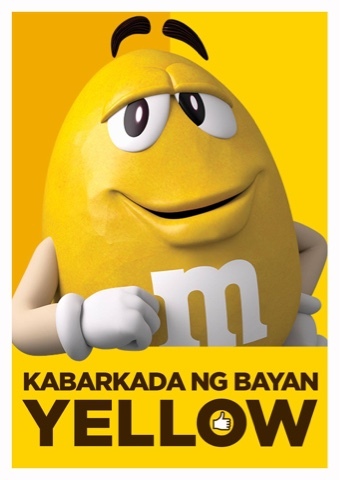 For the schedule of activities, visit the M&M’S® Philippines Facebook page. And if you want to vote at your convenience, simply post the caption of your choice - I vote Red! 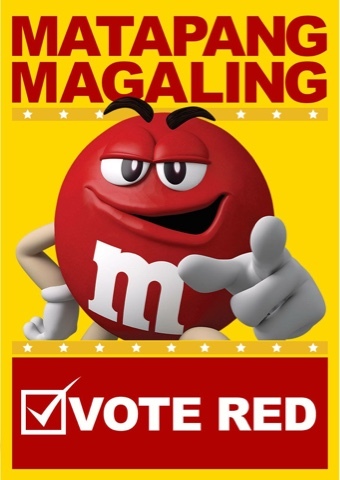 #mmsred or I vote Yellow! #mmsyellow or I vote Green! #mmsgreen on Facebook, Twitter or Instagram to win prizes weekly!